Thanks for taking the time to read this post regarding proprietary trading firms. Some of this information made seem redundant, simplistic, or opinionated. In fact, this post will probably be too long for most readers, but just enough information for those that are new to proprietary stock trading firms. Before I jump into this, I think that it is important to note that I have been trading since 1996 and have witnessed a lot of changes within the stock trading industry. I was around during the late 1990’s when day trading stocks burst upon the scene, and leverage inflated the Nasdaq into a bubble, which of course blew up in 2000. A lot traders, and day trading firms got the blame for the Nasdaq bubble, and these criticisms are not without merit. After the bubble burst, the Securities and Exchange Commission enacted Rule 2520, the “Pattern Day Trading Rule”, which created a series of limitations that prevented small investors from opening a small account and then highly leveraging the account (sometimes up to 40X) in order purchase massive quantities and stocks during the trading day. The brokerages loved it because stocks where only going higher, and the brokerages earned commissions and margin interest on these massive stock orders. It was all fun, until is wasn’t. Margin destroyed many firms and day traders alike. The Pattern Day Trading Rule is simple. If you execute four or more day trades within 5 consecutive days, then you are considered a Pattern Day Trader. Therefore, if considered a pattern day trader, then you must maintain a minimum balance of at least $25,000 in your account, at the end of each trading day. The rule is clear. And all US based brokerages, if they want to remain in business, do not break the rule. However, with any rule that attempts at financial regulation, the trading community of brokerages, prime dealers, margin lenders, traders etc. will always attempt to creatively implement fringe solutions to avoid regulations. Over the years I have seen every imaginable scheme where everyone with a profit motive attempts to chip away at Rule 2520. Eventually, the SEC always wins. It is never a matter of if, it is only a matter or when. So lets jump into the current state of prop trading for 2015, survey the landscape, and hopefully supply you with useful information. At its most basic description, a Proprietary Trading firm is a just a partnership of investors. People get together, pool their money, and trade from a single account. Many prop trading firms are private. Meaning that they do not actively seek outside traders, these types of firms typically receive money from hedge funds and they attempt to trade only for profit. Most of these firms are managed by experienced market operators, and are only looking to add computer scientists, PhD’s, and will recruit new staff through colleges and professional staffing agencies. For the sake of people reading this, I will not present a list of these firms simply because the majority of us would never get our resume glanced over. The next type of prop trading firm are United States based prop trading firms that act like a traditional stock brokerage. In other words, a person would open an account and make a deposit, the person would then be able to trade at typically 20X of the initial deposit. So, if you deposit $10k, then you now have a purchasing power of $200k to day trade stocks. Most importantly, you can avoid Rule 2520, and do not need to maintain a balance of $25k. In addition, the leverage is much higher than a traditional United States based broker that typically will only allow 2X margin. If you plan on day trading stocks, and do not have $50k in your account, you will need margin. Unless of course, you only want to win or lose very little. The bottom line is that you need spending power and this is the sole function and purpose of these types of prop trading firms. However, all United States based brokerages that operate as a prop trading firm require that traders have a minimum series 56, 55, or 7 securities license. With this post, I will not get into the specifics of obtaining one of these licenses. Another post on this site will give exact details on how to obtain your license. Do not let the license be a deterrent, a series 56 is quite easy to pass. There are also non United States based prop trading firms. These firms typically will service anyone not located in the United States. Suppose you live in Brazil, are you really going to fly to the United States to attend a Finra approved testing facility, with the sole purpose of taking the series 56? This would not be feasible. Another sector of the population that opts for an offshore prop trading firm would be anyone with a prior felony conviction. Finra and the regulators are like the Department of Motor Vehicles, sure they serve a purpose, but they also exclude many with fringe convictions. In my opinion, the system is unfair to many that might of made of a mistake many years earlier in their life. Or perhaps a person has issues with the IRS, or a state government and owes back taxes, etc. Or maybe they have a judgement from a lawsuit, or an ex spouse looking for money. I have heard every imaginable reason. Is your money safe at a prop trading firm? Prop trading firms do not have any sort of governmental guarantee. Whether they are US based or offshore, neither can guarantee the return of your trading capital. And this is the basic flaw with prop trading firms, they sometimes go bust. In fact, in 2008, many United States prop trading firms and offshore firms did in fact go bankrupt. Many traders lost their deposit and any winnings. And in all honesty, do not expect much relief from the SEC, they tend to turn a blind eye towards prop firms that fail. However, they keep a keen eye to make sure everyone is paying their fee’s. With this being said, it is important to note that a United States based prop trading firm will be under the criminal jurisdiction of the Federal Bureau of Investigations. So if your prop firm is located in New York, and your money disappears, then you can at least file a complaint. If a prop firm is located offshore, and your money disappears, then you must rely upon the local authorities for relief. This is something that you need to consider, especially if your prop firm is located in the Bahamas, Israel, etc. The most common reason why an offshore prop firm goes bust is because the owners are also trading, will suffer losses and then begin trading with your money, only to lose that money. The next thing you know, you cannot log into your account and the website disappears. Think this does not happen? Well you better think again. Because it happens quite often. So you need to be careful. We have now talked about three types of prop trading firms. The first type would be private firms that typically only hire PHD’s. The second type are United States based prop trading firms that function like a traditional stock broker, pool trader funds into a common account, usually offer 20X margin, require a minimum series 56 securities license, and comply with all United States securities regulations. The third type of prop trading firms are offshore firms that cater to non United States based traders, or United States based traders that cannot qualify for a securities license, or want to shield themselves from the IRS or lawsuits, and are nearly immune from United States criminal laws. The fourth, and final types of prop trading firms need to be avoided. Why? These are prop trading firms that are actually just educational firms that are masquerading as prop trading firms. On the surface, they act just like a prop trading firm, but before you can open an account and begin to trade, you must take a course or pass a series of tests that you must pay for. The typical costs range from $2k to upwards of $30k. There are too many of these firms to name, but I will give you a couple of examples. The first would be ifundtraders.com, a firm founded by Oliver Velez, a long time con man that openly describes himself as the “Messiah Of Day Trading”. The scam works by selling the dream of becoming a full time trader, you must purchase a comprehensive day trading course for $9,000. 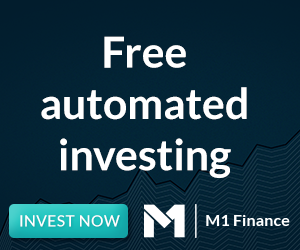 Once you complete the course, the messiah then may give you a small portion of your $9,000 to trade within the ifundtraders.com prop account. It is a hustle of the highest order. The sole purpose is to drain you dry of every morsel of your money, and then entice you into maxing out your credit cards for yet more training. I wont get into every single one of these shady hustlers looking to “hire” professional prop traders. I have a list of nearly 60. Some of the more noted scams are Apiary Fund which charges several hundred dollars each and every month to access a worthless series of videos and trade from a simulator until you finally discover that a prop trading job cannot ever be obtained. Or Maverick Trading which requires $5k to be “hired”, a complete scam. Or SMB trading, which suckers in college age kids from campuses and sells them on the dream of becoming a prop trader and making their parents proud, only to market a several thousand dollar trading course that is tailor made to sell to naive parents. Most of these kids have no idea what they are getting into and drop out within a few weeks. Once again, avoid any prop trading firms that have a “pay to play” policy. Which Prop Trading Firm Should You Choose? I will make this short and sweet. If possible, your first choice should be a United Stated based prop firm. Firms that comply with United States securities laws are making a considerable investment to remain in compliance. They usually have a brand to protect. And since they operate within the jurisdiction of the United States, then they are less likely steal your money because they understand that FBI and the SEC is only a phone call away. Your next choice should be a well vetted offshore prop trading firm. Avoid any firm that does not answer their phone calls on the first attempt. Many of these offshore prop firms are just a one or two person operation that is operating under a sub account of another offshore firm. If a one or two person firm located on an island known more for it’s pirates and rum, then you should avoid. If they disappear, then your money will also disappear. There is no 911 on the island of Nevis. Avoid any firm that wants you to pay either a monthly educational fee, a course fee, a training fee or any fee that is not related to the trading platform or data. These are all scams meant to meant to drain you of all available resources. At the top of this page you will see a list of prop trading firms. When I originally put together this list, I began with over 300 potential firms. Slowly I whittled away at the list, I called every firm and did a massive amount of research. These are the only firms that I personally feel comfortable dealing with. Too many to count where outrageous frauds that contained everything from email addresses that bounced, disconnected phone numbers, no return phone calls, where masquerading as a prop firm but are actually just selling an educational package, misspelled and poorly written website content, never returned my emails, refused to give me information on whom was clearing the trades, whom owned the company, etc. Over the course of 2015, I will be releasing a series of posts that contain specific information for each of these firms. This will include in-depth details of each prop firm. Whom you should contact, how to open an account, the trading platform that the firm uses, and many more particulars that can help you make the correct choice. I apologize that this post consumed so much of your time. Actually, it could of been much longer. Please do not forget to leave your comments below. Please ask me questions and I will answer them as best as possible. Thanks for reading. Hi, Do you have any reviews about the5ers.com? There is a little info about them, they seem new but have an interesting offer. I sent out a review request. On the surface, it looks fair. However, I need to make sure that a custodial account actually exists. Else there is no way of knowing if the end user is only using a simulator. Looks like Cy Group is out of business. No news but their site is down. Anyone traded with sharktraders? I’m thinking about open an account with them but want to make sure they’re a real prop firm. Yea. 100k buying power to start. I traded small. My largest single loss was $268, then $88. Most losses $50 or less. Biggest winner $280 single trade. Only had 40% win rate-my stops were way too tight, giving me a dismal win rate. Lost $2700 plus $1000 in commissions over 3 mos leading to $1300 account bal (from 5k start). Trading on a real time sim for awhile, not sure if im coming back. But if you think your game is solid, CY Group might be your ticket. TraderSimulator used to be Nonko. A couple of years ago, I wrote a really nasty piece on Nonko. They were accepting client funds and allowing people to trade on the simulator, and telling them it was live. They were essentially running a bucket shop. It was going really well because most traders lose. However, a few guys hit the lotto using the simulator and Nonko refused to pay out. I wrote the article and they promptly closed up shop. Reappeared later with the rebranded simulator. Its actually nice to see them offer a service that is legit. Good to know. I definetely won’t trade real money w them (Nonko/tradersimulator). I believe however that anyone contemplating day trading should show consistency on a real time sim for a while prior to going live. If you are not making money on a real time sim, there is no way you will be profitable live. I don’t know that I will ever go back to day trading but if I did, it would likely be w CY Group again. Thanks Emmett and Merry Christmas! Ok thanks so much for all the input. Did you ever take a withdrawal from them? Nope, never green long enough to withdrawl lol. They have been in business 20yrs, which is an eternity among prop firms. Others have stated no prob with withdrawls….i just never got to find out. You keep 100% of your profits at 100k buying power. 80/20 split or something for more buying power (you have to show you are worthy first). Quick review of CY Group: Easy to open! Fill out app, wire 5k and you are trading. Platform Sterling Trader, kind of grows on you, about the same as Das Pro but seems faster. Commisions-much cheaper than Suretrader! .0035 plus ecn fees. Adding liquidity gets me around .0052 per or .065 w remove liquidity. Trading 100 shares of apple runs me about $1.35 round trip! Platform fees, $195 (kinda of expensive but lower commisions more than make up for it). Customer service?-they are pretty casual but helpful. So far so good, update will follow when i withdrawal $. So happy to get away from Suretrader’s fees! Scottieee, what’s your email address. I would like to ask you a few questions. Just wanted to thank you Emmett!! Once again, as a “student” trader, I’ve been contacted by a company offering “the BEST”, “WORLD CLASS” trading education. After telling them I needed a few hours-that I had an “appointment”, I hung-up & came here. It was Apiary. They said I’d have a “2-week orientation” period to work with their platform, (called Aveo) and during that time a head instructor would speak with me daily to get an idea whether I’d “fit” with their company. Then, if “accepted”, I would pay $97/mo for their software and education. The caller, (who was very difficult to understand), said they are located in Utah. She claimed it usually took 3 months of Demo trading and education to be accepted into “Level 1” when you supposedly get paid 60% of your “winnings”. If you want any other info, contact me & let me know-they’re supposed to call back in a few days after I watch the “orientation video”. Looks like my comment was deleted. Just wanted to know if Blue point trading in genuine. Thanks a lot for creating this blog. I love the content here. I recently contacted Blue point trading about their prop trading firm. Now when I try finding information on them online there is nothing. Do you have any insights into into this firm? are they genuine? Please help! In any or these firms are you allowed to lose more than your deposit? If not, then it’s just leverage/margin. That is correct. All of these firms are only offering additional leverage/margin. Does that apply to Topsteptrader as well? If you’re never allowed to lose more than your investment than I don’t see any advantage in being with a prop firm. If I increase my capital but cannot increase the value at risk than I’d be getting nowhere as my gains would have to remain restrained – my position sizes would be larger but my risk/reward would have to drop in the same proportion. Am I missing something ? Nonko is on on your list??????? How can I get in touch with you via email? Currently I have three streams of revenue for TradingSchools.Org. The first are the Google ads that you see displayed throughout the blog, this currently generates about $250 per month, the second would be TopStepTrader which thus far has generated nothing, and the most recent would be B12 Trader which to date has generated $99 in revenue. Each month, I will be publishing an income and expense report for the blog. Hopefully, at some point, the blog will break even or make a small profit. This project has never been meant to be a money maker. Though I have been tempted! I Just clicked on all the advertisements on your site … you’re welcome. Futures don’t have that Rule 2520, the “Pattern Day Trading Rule”, nor does FX stop. Just finished reading your article on prop trading firms and also the comments. I’m wondering if you know anything about Liquid Tree Trading Group? I have been looking for some info over the past couple of days. When I check out their web site there is a notice saying that it is down for scheduled maintenance. Would be most interested in finding out more as I have a small amount of money with them. Thanks Emmett. And keep up the good work. All I know is that just disappeared. I had spoken with the the tech guy a few times and he seemed straightforward. He was certainly direct with me. Am curious myself what actually happened.